We had two “first days of school” this year. Our first was in mid-June and the second was about three weeks later. It was after I decided to completely switch out about half of our curriculum choices. We had already made quite a few changes. This was our first year of using Sonlight History/Bible/Literature A. Last year, we used My Father’s World for history, and as much as we absolutely loved it, I noticed that “Adventures in U.S.” History was suited for 2nd and 3rd grade, and since our son was in 2nd and our daughter was in Kinder 4, I decided to switch for a year so that it would be a good fit for our daughter next year when our son hit 3rd grade. Sonlight A seemed perfectly suited for both children, so we dove right in. We kept almost everything else the same, however, and that’s where we hit a few bumps. RightStart Math and All About Reading had been such wonderful choices previously, but both were extremely “teacher-intensive” and with my daughter joining us for more of her studies, I just didn’t have the time to dedicate to these programs. I began to dread them, and I struggled with planning. And so, I decided to do something I should have done from the beginning. I decided to pray for our homeschool. Now I had prayed before, but this time, I decided to really pray about it all. I prayed for God’s guidance in every area of school, from the books we read to the lessons we learned. I prayed about the curricula we used and the planning process. I prayed fervently and trusted in Him to lead. My answer to prayer came in a $2 purchase at a used-curriculum sale. The mom, who sold me the Rod and Staff English 2 book, shared so much of her journey with me, and after visiting with her for over 20 minutes, I decided to purchase the book and check it out. That one book led to another and another and another and before I knew it, I had switched out our math, reading/phonics/spelling, science, and penmanship curricula! It was scary at first, letting go of all of the popular choices I had once embraced. All About Reading had been such a game-changer for us early on, helping our son with his first steps in reading. (I even wrote a review about it here.) We had such a strong start despite his eye convergence issues, but he never gained the fluency and automaticity he needed to be successful in Level 2. RightStart Math was also a favorite and was highly recommended by everyone in our homeschool circle. Unfortunately, as much as I thought the lessons were eye-opening and intriguing, I didn’t see the growth in my son’s understanding. He begged me for workbooks and actually disliked the games, and continuing with the program often left me feeling as if I was pushing a round peg into a square hole. And so, I took a leap of faith, sold much of our curricula, and purchased new ones. . . I humbly welcome you into our homeschool. Here are our new curriculum choices for 2nd grade and Kinder 4 for 2016-2017! To find out about the books that shaped our homeschool and how we organize our studies with a “wholehearted” approach, click here. My Father’s World-God’s Creation from A-Z (kindergarten): This has been our absolute favorite curriculum to date, and I am so excited to be able to repeat the Bible and science portion with our daughter this year! My son is also joining us once again, and we are going a bit deeper in our conversations. There are 26 units that we will be covering, so we’ll be supplementing from time to time with the resources below. Egermeier’s Bible Storybook: This is our resource from Sonlight A, and it’s amazing and so very thorough. We’ll be using it throughout the year to study the Bible chronologically. Big Thoughts for Little People: This is a fun and sweet devotional we’ll be using during some of our “off” weeks. Millers Family Series: I’ve seen these books on different blogs and thought I’d try them out in order to add to our Bible discussions. Although the stories depict what looks like an Amish family, the kids are really enjoying the stories and have been able to relate to the characters’ challenges and understandings. So far, it’s been a fruitful part of our Bible time as they see the Word in everyday applications. 30 Hymns for Kids: This is a fun CD we are enjoying listening to throughout the days. Our goal will be to learn and memorize 3 hymns by the end of the year. Sing the Word from A-Z: We are also using this CD from our Sonlight A package to memorize 26 scriptures from the Bible. We also keep prayer cards to keep our loved ones in prayer as a family and make sure to schedule ministry opportunities at least twice a month. Sonlight History/Bible/Literature A: We are having such a great time learning about the ancient Egyptians, the Greeks, and the Romans, etc.! The reading selections from Sonlight A have been so helpful, and the kids really like the Usborne books. Children Like Me: This is another great resource we will use to help the children better understand each country we are studying by reading about children who live in those countries. Expedition Earth-A Journey through God’s World: In order to add a little fun or additional information, we are also using Expedition Earth as a resource. This curriculum set includes passports and lapbook printables for 31 countries! I don’t plan on following the lessons as is; instead, we “dip in” as applicable to our Sonlight history or literature we are reading. The curriculum includes fact sheets, maps, flags, animals (see Science), and more! Sonlight A Read Alouds and Readers: There is so much rich literature in our Sonlight A package, and we are really looking forward to reading each and every one. My Father’s World:Exploring God’s Creation from A-Z-Kindergarten Literature Package: We will read our “special” books at the end of each week as we close our science and Bible unit studies on topics, including nests, birds, insects, sun, moon, etc. We purchased this package for our son, and these books are just as memorable and enjoyable as the first time we read them. Five in a Row: This year, we will pick and choose a few titles to “row” during our “off” weeks. So far, I have scheduled The Story about Ping, Cranberry Thanksgiving, How to Make an Apple Pie and See the World, The Story of Ferdinand, The Tale of Peter Rabbit, and Who Owns the Sun?. I’m looking forward to diving deeper into these stories with these enriching unit studies. Christian Readers: I fell in love with the sweet and Biblically-sound readers published by Rod and Staff, Christian Light Education, and Pathway Readers and hope to build our reading library with many more titles throughout the year. Reader’s Notebook: We will also implement a Reader’s Notebook this year to include narrations and drawings of our favorite stories. Van Gogh Artist Study: We read Camille and the Sunflowers, Katie and the Sunflowers, Vincent’s Colors, and The Yellow House when we studied the works of Vincent Van Gogh. Exploring Art Together: We will continue working through these art cards from My Father’s World-Learning God’s History (1st grade). They offer a wonderful opportunity to observe and discuss famous pieces of art. Peter and the Wolf and A Guide to the Orchestra: This CD and lessons from My Father’s World-Learning God’s Story (1st grade) provide visual activities for understanding the instruments of the orchestra. Say Hello to Classical Music: We will also listen to the classical pieces from My Father’s World-Exploring God’s Creation from A-Z and engage in the weekly activities provided in the curriculum. Rod and Staff: Working Arithmetic (Grade 2): This program has lots of drills and practice sheets, but it has been a PERFECT fit for our family! Our son loves being able to work independently, and it has really allowed me the time to work with our daughter. It follows a mastery approach, which means that it builds slowly and offers plenty of opportunities for practice prior to introducing new concepts. This has really given our son the confidence he needs to work on his own and apply his learning. Pattern Animals: Puzzles for Pattern Blocks: We loved these from our MFW-1st deluxe package! We’ll continue to use them this year as well. Rod and Staff: Bible Nurture and Reader Series (Grade 1): This is a first-grade curriculum, but it builds quickly and actually surpassed what my son learned in AAR Level 2 by the end of the first unit! It teaches phonics and sight words at the same time and offers daily practice in handwriting, fluency, spelling, and visual discrimination. I have never seen anything like it, but it has made such a HUGE difference in my son’s reading ability! Our four-year-old is also going through the program at a slower pace, and she has been progressing so well. I love the Biblical stories and explanations woven into each of the lessons and readers. It truly gives children (and parents) such a beautiful perspective on God’s beautiful creation. We love it! Rod and Staff: Penmanship for Christian Writing (Grade 2): This program begins with manuscript then progresses to slant letters and cursive writing. This is the introduction to the book that helped me gain a new perspective for English Language Arts: “Preparing to Build has been written with the desire to provide a means for the young pupil to become acquainted with the working of the English language, and to present ways in which he can use his gift of language for the glory of God. . . the pupil is introduced to the use of language as a way in which to serve others and to tell others of the heavenly Father. . . may [the teacher] ever keep in mind the purpose for which God has given man the gift of language, and may he always serve as an example of its right use.” I love it! Draw Write Now: This is a fun resource for drawing and copywork that I hope to use throughout the year. Additional Literature: We will also use the books we are reading for additional or supplemental copywork and dictation practice. Reader’s Notebook. We will also use notebooking pages for narrations. 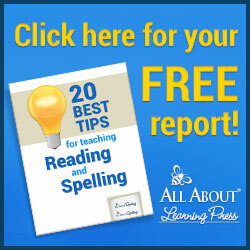 Rod and Staff: ABC Workbooks: Our daughter loves these! They are filled with all sorts of skills in preparation for 1st grade. She’ll practice counting, coloring, writing numbers and letters, sorting, cutting, pasting, habitats, and so much more! We started with Book C, and she completes about 1-3 pages every other day or so. Hands-On Learning Activities: We purchased the pre-k packages from My Father’s World a few years ago and will be using the hands-on puzzles, discovery blocks, Wedgits, shape sorts, along with other educational activities throughout the year. I will also continue to create sensory bins and “invitations to play” for additional learning fun. Rod and Staff: Patterns of Nature (Grade 2): This is such a simple worktext that ties in nicely with many of the topics we’ll be learning in My Father’s World. I plan to use it as a supplement for our son. The lessons include short narratives and comprehension questions, which we sometimes do orally. The text also includes some hands-on projects along the way. Apologia-Exploring Creation with Astronomy: Our son will be attending a co-op where he will be learning astronomy, so this will be a resource we can look into as applicable. The Berenstain Bears Book of Nature: This is just so much fun and will give us a neat way to tie in all our studies throughout the year. Living Books: We’ll also use a number of living books from our personal library and local library during our unit studies. Here’s just a small sampling from our unit study on birds, along with a bingo game I found for $3 at a used curriculum sale. Score! Nature Walks: We will also continue to engage in nature walks throughout the year at our local state park and conservatory. Co-op: This year’s co-op will cover astronomy for my son and animal habitats for our daughter. It will be a perfect addition to our learning at home! Field Trips: As always, we look forward to visiting a number of places throughout the year to dive a little deeper into our studies. Below are just a few snapshots of our entomology field trip, including painting with maggots! The pictures below were taken at our local library petting farm event. I am blessed to have a mother-in-law, who is a former art teacher. She’ll be using the following resources along with her own ideas for art classes this year. Recorder Fun! : Later this year, we will use this resource to learn the basics of playing the recorder. ??? I’m still in search of a program for this. Right now, I’m making up songs to share with the children to help them learn the rooms of a house, body parts, months, days, numbers, etc. I also found some videos on Pureflix that go over Spanish words and phrases, but I’m hoping to find an online program that will help them learn more throughout the year. Whew! That is quite the FEAST! Now, just to clarify, we don’t use every single resource every single day. We focus on certain ones during certain terms in order to work our way through it all. I’ll share a post later on how we organize evertything. For now, I just have to share that we just finished up our first term, and it was AMAZING! Being an avid Charlotte Mason follower, I was so scared to take on a more classical approach to our disciplined studies, but I am so glad I did. It truly was an answer to prayer. We now have a good blend of instructional methods that are really helping our days flow nicely: Biblical, traditional, living books, narrations, unit studies, nature walks, hands-on projects, lapbooks, etc. We have balance, and it is refreshing. Each day offers just enough variety to add some novelty to our learning, and the kids (and I) are loving it! What are some of your favorite curriculum choices? This post contains affiliate links, which means that I may make a small commission off of a purchase from these links at no additional cost to you. Thank you for supporting my blog. I just found your blog and am super excited about it. I’m thinking of using ‘my father’s world’s curriculum with my 4 year old son. Do you highly recommend that curriculum? So glad you’re here! We’ve done My Father’s World curriculum for kindergarten twice and absolutely LOVED it both times! Here’s a link to a review I wrote about the kindergarten curriculum, which may be a good fit for your 4 year-old son. https://anupstreamlife.com/review-my-fathers-world-kindergarten/ Have a great homeschool year! Either Rod and Staff or CLE has a very nice starter Spanish curriculum! Oooh, those seem neat! We just started with grade 2, so it’s a bit simpler then the upper elementary grades. I can definitely see myself saving each of the books as well. I love them! Ah, I love this! We’re years behind, but I’m grateful for mothers who are ahead who give such detailed and helpful reviews of their curriculum. I love all your thoughts on Rod & Staff. I got the preschool books for our son as a NZ family import them as cheaply as they can be bought in the US, and they look great. I love them, so I’m interested to see what the upper levels are like. So exciting! Yay! I wish I had heard about them when my middle child was younger. I’ve heard so many wonderful things about “About Three”, and they are definitely affordable. 🙂 I’m planning on sharing some reviews in the coming months because I absolutely love them. They have been such a good fit for our family. Blessings to you on your homeschooling journey!